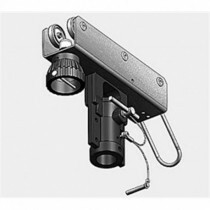 Self-Climbing lighting hoist with up to 4.5 m (10') pipe and up to 9 lighting circuits. 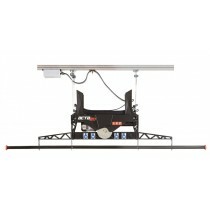 Max drop up to 13 m. Onboard motor self-climbing hoist to raise and lower lighting fixtures. 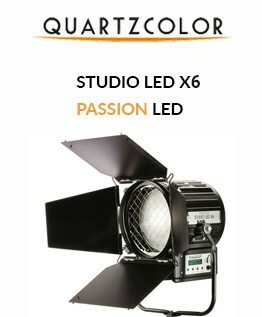 Provides easy and fast access to install and service studio lighting fixtures. 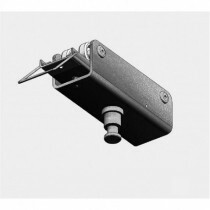 FF3614 can be easily attached to I beams. 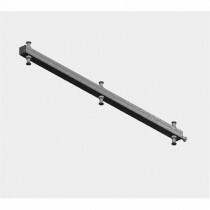 With the brackets FF3601, FF3605 or FF3606 you can suspend rails, pipes or IPE80. 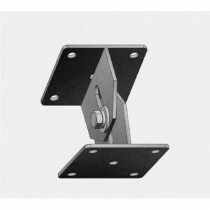 Adjustable bracket allows fixing to uneven ceilings, scaffolding or “I” Beam structures. 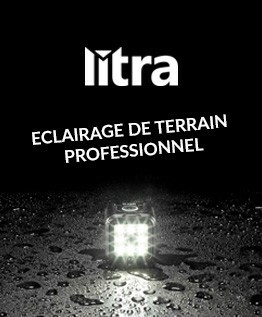 Extendable from 9 to 13 cm (3,5” to 5”) and inclinable from 0 to 90°. Two steel plates to connect rails end to end. Hardware included. Not suitable for moving rails. 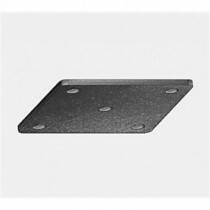 Two steel plates to connect straight rails end to end. Hardware included. 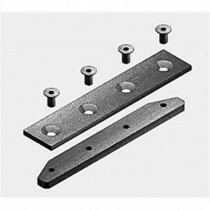 Two steel plates to connect 2 curved rails or a curved rail and a straight rail end to end. Hardware included. 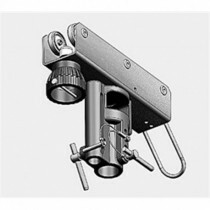 The arm is used to suspend 2 lighting fixtures from a single pantograph or drop arm. 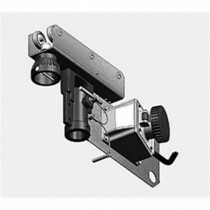 The Arm is used to suspend up to 6 lighting fixtures from a single pantograph or drop arm. 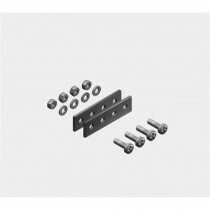 The Base plate can be used to built your own bracket to guarantee a precise fit with the IFF standard brackets. 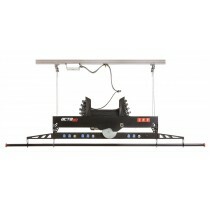 Carriage with clamp for pipes up to 52 mm (2”) diameter; with 6 bearing wheels and twist lock. 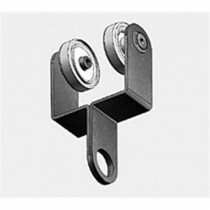 Steel carriages with bearing wheels, used to suspend rigid scenaries or wood panels. 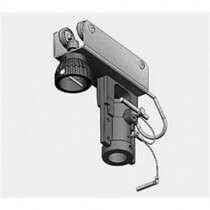 The clamp can hold object form 6 mm to 100 mm thick. 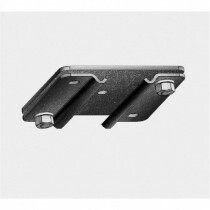 Bracket to attach rails directly to the ceiling. Hardware to install the bracket to the ceiling is not included. Maximum load depends on mounting conditions. 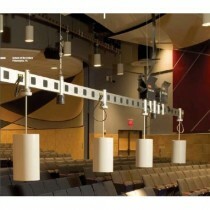 Designed to suspend rails directly from ceilings. 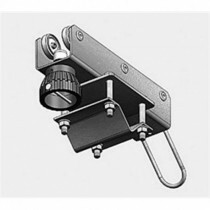 Use extension rod FF3632 to drop the rail system to the required height Clamps FF3601 not included and have to be ordered separately. Hardware to install the bracket to the ceiling is not included. 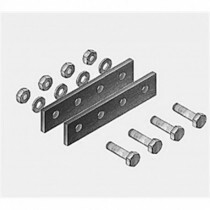 Maximum load is dependant on mounting conditions. 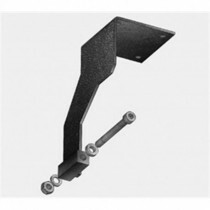 Designed to suspend pipes allowing the carriages to slide along the entire length. 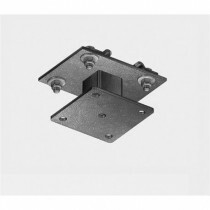 The ceiling bracket fits onto various IFF brackets or can be mounted directly onto the ceiling. 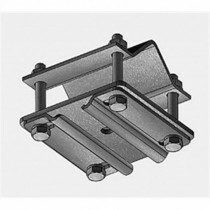 Bracket to suspend rails from ceiling with steel wires. Wire is not included. 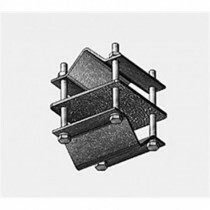 Clamp to connect pipe to rail parallel or rectangular. 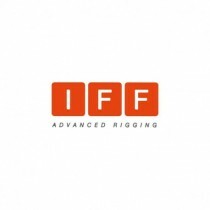 For easy installation of IFF rail system to an existing studio pipe grid. 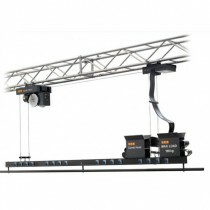 Steel carriages with ball bearings for curtains up to 9 m height. Recommended distance between carriages for ideal curtain support: 25-30 cm.